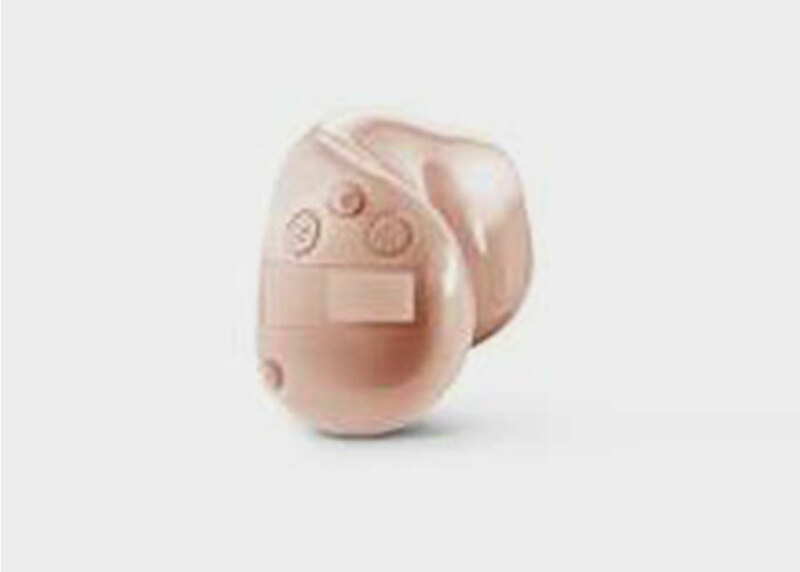 We offer the most up-to-date hearing aid technology available, as well as a full range of fitting and feature options to meet the demands of your lifestyle. Since the introduction of digital technology in hearing aids, the benefits available to hearing aid users have increased at an incredible rate. Today’s hearing aids are much smaller – some are virtually invisible – and are now able to deal with challenging listening environments much more effectively than before. Many can adapt automatically to different situations without the need for manual adjustment, and some can even integrate seamlessly with other technologies such as TVs, mobile phones and MP3 players. 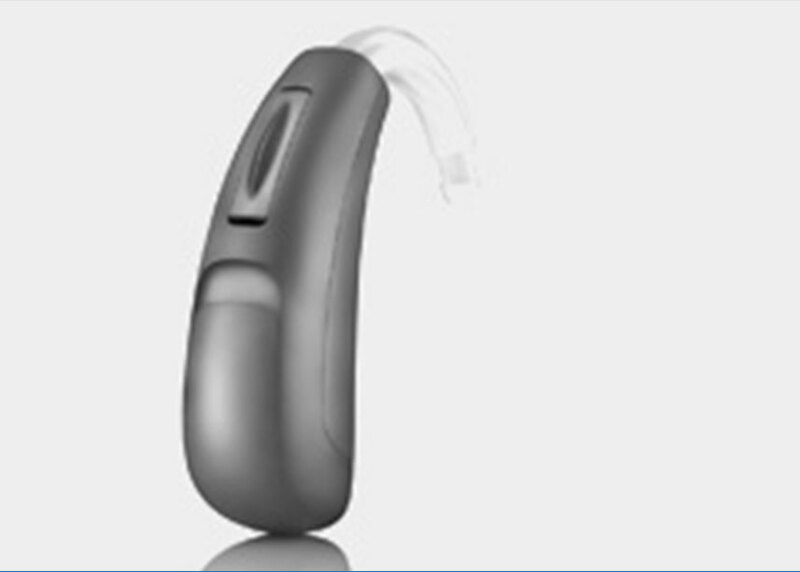 We offer a wide variety of hearing aids to suit individual needs. We routinely fit all the major brands, such as Phonak, GNResound, Starkey, Widex, Oticon and Unitron, but we are able to supply other makes if required. 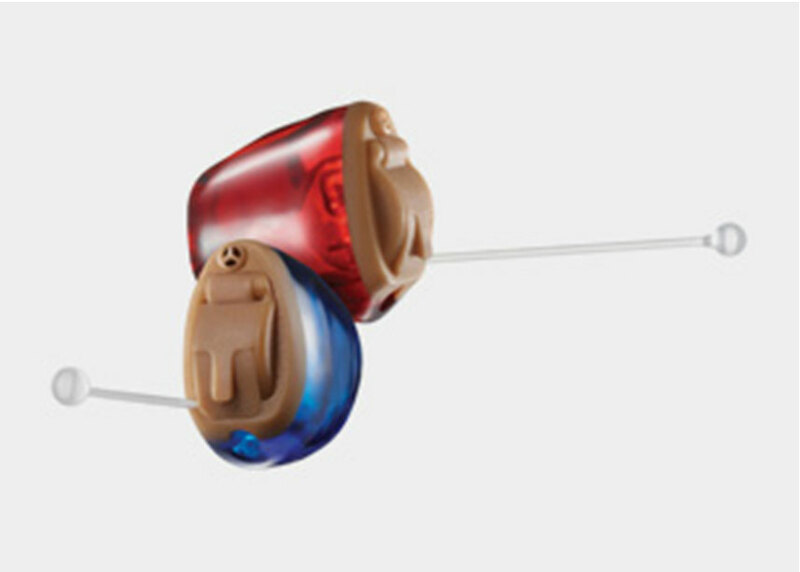 RIC hearing systems have a small casing placed behind the ear and sound is transmitted via an ultra-thin wire to a small receiver (speaker) held in the ear canal by a soft silicone dome. Discreet: they can be virtually invisible once inserted. Physically comfortable: as there is relatively little contact with the ear canal, wearers usually report feeling almost nothing in the ear after a few minutes’ use. Directional microphones (for better control of background noise). Can be used to keep the ear open, providing a more natural sound quality. Open fitting helps avoid “occlusion”: the ‘head in a barrel’ effect we get when speaking with our ear canals blocked. This is the smallest type of ‘in-the-ear’ hearing aid. 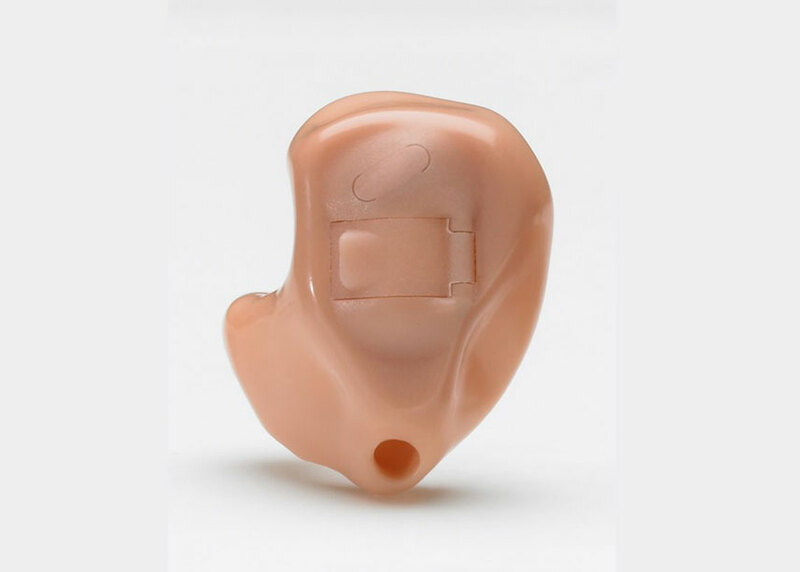 In common with all in-the-ear aids, it is custom made from an impression of the ear and has nothing behind the ear at all. The IIC sits deep in the ear canal, making it virtually invisible when worn. The most discreet in-the-ear option. It’s position deep in the canal makes it less susceptible to wind noise. A more natural microphone placement makes it easier to use with the telephone. Because of its small size, it cannot include directional microphones, volume control, telecoil or wireless features. Not suitable for severe levels of hearing loss. Uses the smallest size of battery, which doesn’t last as long as larger ones. Sometimes cannot be made for people with particularly small ear canals. Before the advent of IICs, this was the smallest in-the-ear aid available. Slightly less discreet than IIC. Can be produced as a ‘power’ aid to help more severe levels of hearing loss. Can include a program button, allowing the user to switch settings manually. Usually cannot include directional microphones, volume control or wireless features. 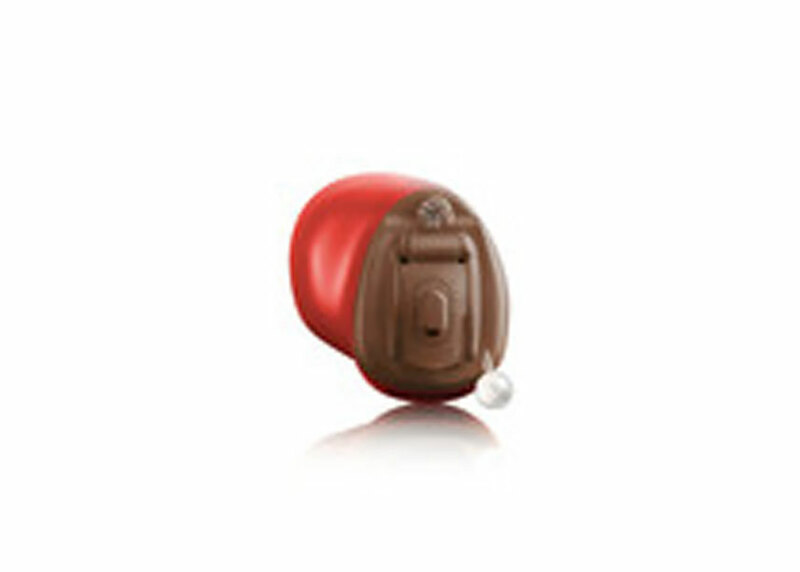 This type of aid is also custom moulded to fit the ear perfectly. It sits partly in the concha (the lower, bowl-shaped part of the outer ear), making it more noticeable, but its size means more useful features can be added. Suitable for practically any degree of hearing loss. Can include useful features, such as directional microphones, manual program buttons, volume control, telecoil and wireless functions. This is slightly larger than the ITC, occupying most of the lower part of the concha. 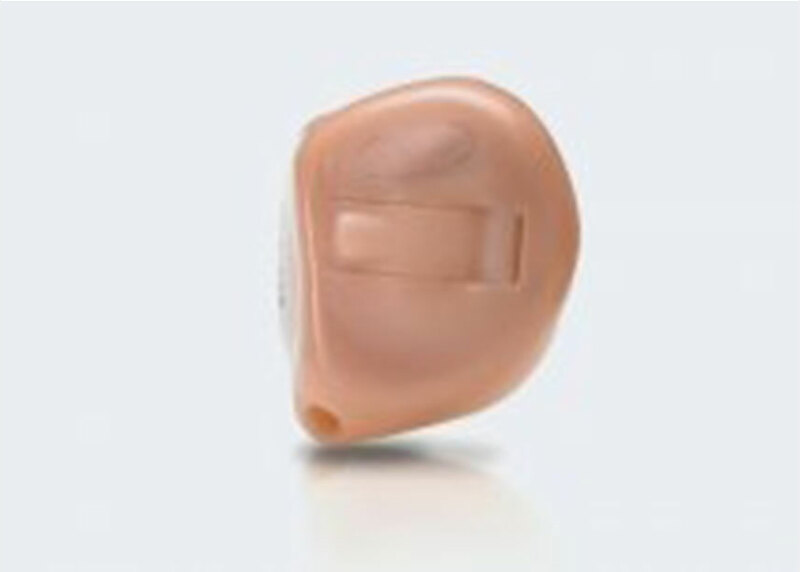 It is often fitted to clients who have difficulty handling smaller types of hearing aid. It’s size can make it easier to handle than smaller in-the-ear aids, and therefore a better option for people with manual dexterity issues. Usually uses bigger batteries which last longer. Can include a host of beneficial features such as directional microphones, telecoil and wireless functions. Can usually be made to fit even the smallest ears. This is the largest type of in-the-ear hearing aid. It fills most of the concha, which can be useful for securing the aid in the ear, especially if the wearer has unusually narrow ear canals which necessitates a ‘shallow’ fitting. The most visible in-the-ear option. Microphone placement can make it more susceptible to wind noise. Generally easier to handle than smaller aids. Can include many useful additional features. This is the fitting style most people associate with hearing aids. It has a relatively large casing that hooks over the ear and sound is channelled into the ear by plastic tubing which is usually held in place by a custom-made mould. 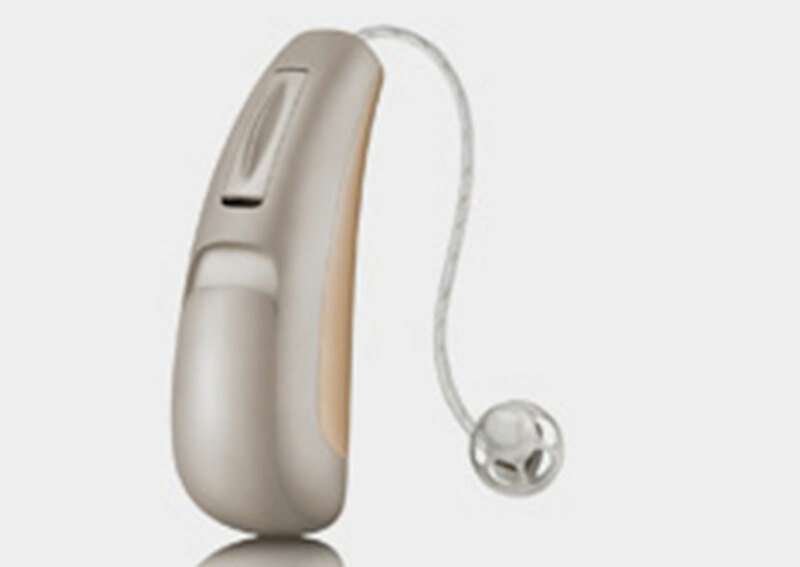 Being ‘off the shelf’, relatively easy to maintain, and suitable for almost all types of hearing loss, this is the style of hearing aid most commonly dispensed by the NHS. The largest, most visible type of hearing aid. Can be very powerful: suitable for the most profound hearing losses. Can be easier to handle than some types of hearing aid. As an independent hearing aid specialist and professional practice, we can provide you with hearing assessments and unbiased information on what hearing aid best suits your needs. We strive to provide our customers with competitive prices for all the top hearing aid brands and are proud to offer a friendly and professional service. 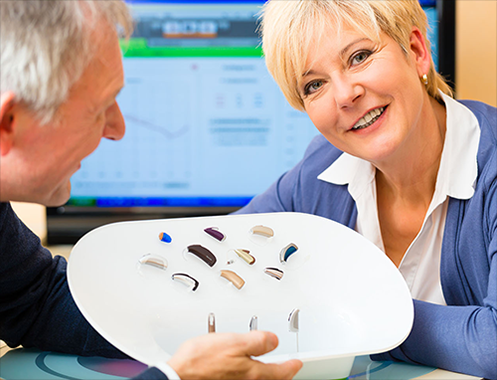 ReSound provides excellent sound by offering innovative hearing solutions that combine original thinking and design with solid technology – all based on deep audiological insight and understanding of hearing aid users.. Hearing loss is complicated. Every case is individual; every solution unique. At Widex, we combine years of understanding with a natural curiosity in finding solutions to individual hearing loss. Our uncompromising approach to innovation has led to such advances as the world’s first fully digital in-the-ear hearing aid, as well as our own revolutionary wireless technology. Our products focus where it counts—speech understanding. We deliver the technologies that matter most, offering real-life benefits to more people. It’s been proven, hearing health is directly connected to your overall health and well-being. It’s why at Starkey Hearing Technologies, better hearing is all we think about and do.